Air France says travel hub status under threat due to "encroachment of Gulf carriers"
Abu Dhabi: The effort to block the growth of Gulf airlines gathered steam yesterday when Air France-KLM Group said it plans to team up with rival airlines to push for European action to "slow the encroachment of Gulf carriers into Europe". Saying that Europe's status as an air-travel hub is "under threat", Pierre Henri Gourgeon, Chief Executive Officer of Air France, added: "Europe is at the crossroads of international air travel and this is a role we need to value and defend. What we are telling the authorities is that we need a strategy that gives us a chance to resist." Gourgeon said he will discuss the matter with British Airways CEO Willie Walsh and Deutsche Lufthansa's Wolfgang Mayrhuber at a meeting of the Association of European Airlines on Friday. The UAE has also not been able to reach an agreement with Canada regarding an increase in the number of flights operating between the two countries. Mohammad Abdullah Al Ghafli, the UAE's Ambassador to Canada said on Sunday "it was unfortunate" that talks between the two nations had been "so protracted and frustrating". Max Sukkhasantikul, a commercial aviation expert at London-based consulting firm Frost & Sullivan, told Gulf News: "The airline industry, despite having a global presence, is still under regulation, and is slowly adapting as times change, albeit very slowly. "Governments will always try to protect their national or key airlines from foreign competition as airlines are considered a national asset and contribute to the economy." 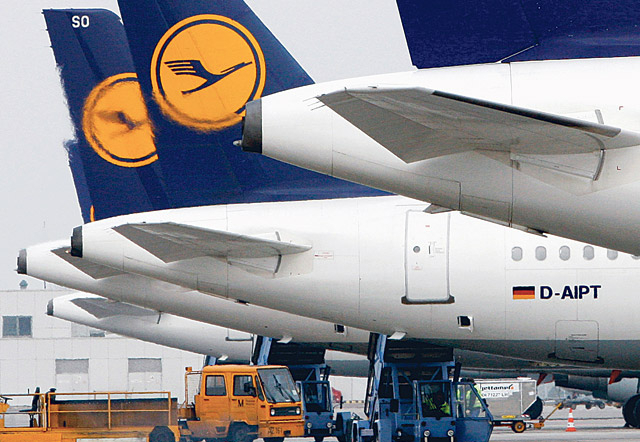 In a policy paper published on its website last week, Lufthansa called for an end to "market imbalances" resulting from export-credit financing, saying "basic rules of regulatory policy are being disregarded". Gourgeon said in an interview with Bloomberg that Emirates already pays very little in the way of airport charges or fuel tax at its Dubai hub, as well as escaping many of the social charges that weigh on European companies. Emirates and Etihad Airways both told Gulf News they did not wish to comment. However, an Emirates statement to Bloomberg said: "Emirates is run as a fully commercial business, unlike many European carriers." The carrier pays landing charges in Dubai, and "although differently structured, our employee cost base is comparable to other airlines." Emirates overtook Lufthansa last year as the biggest carrier on international flights, thanks to a sixfold increase in traffic since 2000, when it ranked 24th. British Airways, top in 2000, now stands fourth in the International Air Transport Association ranking, which treats Air France and KLM as separate airlines. "Where there are areas of growth, such as in the Middle East, it is only normal for operators to fly to where there is demand. Where there is competition, any company will try to fend it off; in the airline's case, particularly national carriers, they will rely on governments to protect them, utilising the argument that the airline is a national asset," said Sukkhasantikul. "With that argument at hand, they will further include the perception that by opening its skies to foreign carriers, it is a threat to the national asset."